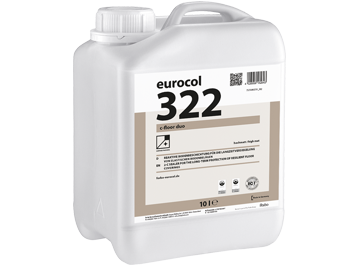 High-End, two-component, PU-based sealer for the long-term, chemical-, scratch-, and wear-resistant protection of new and old, worn or badly maintained resilient floor coverings. Ideal for re-coating of old or top-coating of new, smooth or structured floor coverings (vinyl, linoleum, rubber) which are exposed to very high mechanical and chemical wear. It reduces dirt adhesion and the time needed for day-to-day maintenance. Floor protection with high cross-linking ratio for highest possible floor protection against passing lanes, renaturation and staining caused by chemicals/disinfectants. Meets all relevant norms for floor covering coatings. Slip resistant R9, R10, R11 according BGR 181. Processing time: approx. 4 hrs.